Noted for his temperament and sensitivity, Damien Ventula was “Adami Classical Revelation” in 2003, named the “Victoires de la Musique” in the category Revelation Instrumental Soloist in 2005 and “Generation Spedidam 2010”. Original Toulousain, born into a family of musicians, Damien works Ventula cello from an early age with great masters: Lluis Claret in his hometown, Bernard Greenhouse and Laurence Lesser in Boston and finally Boris Pergamenschikow in Berlin. Invited to many festivals, he has participated in the Festival Pablo Casals in Prades, Solent Music Festival, Festival Piano Pic Festival of La Chaise-Dieu, Comminges Festival, Festival of Bad-Homburg, The Holland Music Sessions Festival Bacau . Damien Ventula is also the winner of several foundations (Marcel Bleustein-Blanchet, Piatigorsky, Singer-Polignac) and has performed as a soloist in France with the National Chamber Orchestra of Toulouse and abroad with the Mannheim Chamber Orchestra , Gotha Thüringen Philharmonic and the Berliner Symphoniker, among others. 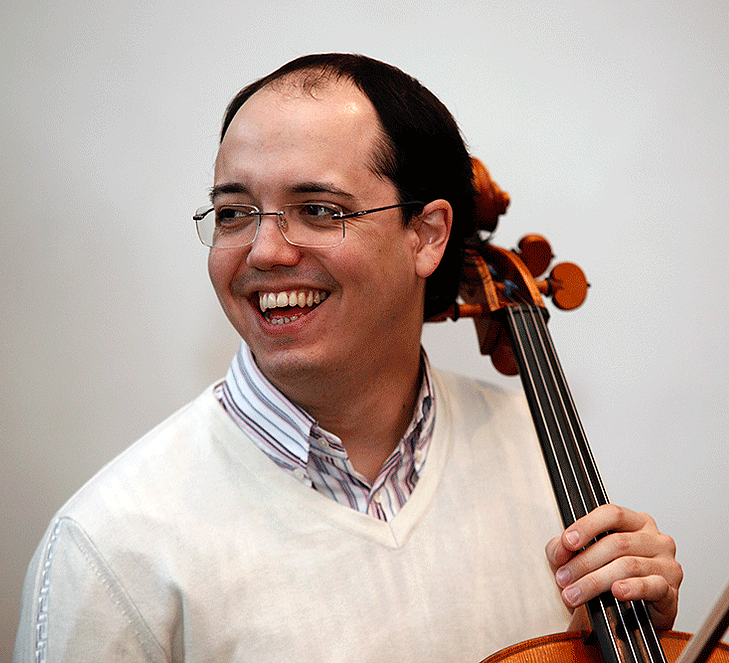 In chamber music, Damien Ventula was for four years a founding member of Cuarteto Arriaga – quartet happened particularly at Wigmore Hall in London, in the Royal Palace of Madrid, the Gewandhaus of Leipzig, Musika Musica, Quincena Musical San Sebastian, and the Lockenhaus Festival. He plays more regularly with pianist Sam Haywood, and appeared alongside other renowned artists such as Christian Zacharias, Raphael Oleg, Olivier Charlier, Denis Pascal, Therese Dussaut, Hartmut Rohde, Barbara Hendricks, Vladimir Mendelssohn, the Talich Quartet, Mouillère Jean Michel Lethiec, or Wolfgang Güttler. Sincere and passionate performer, Damien Ventula loves above all to share the enthusiasm and emotions he lives with his cello with other musicians, the public, but also the students. He teaches at the Conservatoire de Versailles and is regularly invited to France to Gyorgi Sebok Academy of Piano Pic Festival, Indonesia, Japan and Germany, where he has since 2013 a class at the prestigious Hochschule Hanns Eisler Berlin. He also, among other recordings, marked “Arc en cello” (ed the “Transfigured Night.”), Disc devoted to contemporary composers Toulouse and released early in 2016 with Nicolas Bringuier Klarthe label – distributed by Harmonia Mundi – the integral music for piano and cello by Gabriel Fauré.